First of all, the practice of Stand up paddle is composed of several different practices. This results in a wide choice of products adapted to each of the practices. Indeed, 4 different types of practices are possible in SUP. 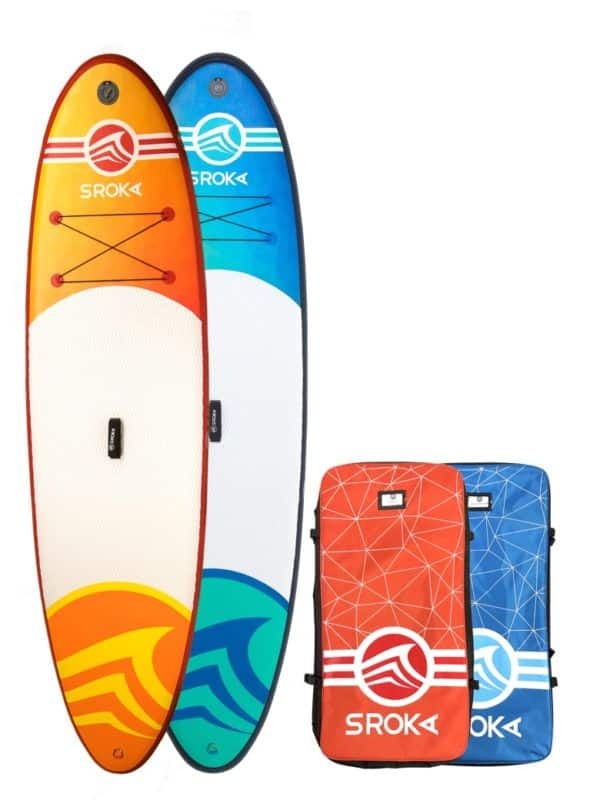 The SROKA inflatable paddles allow you to go for cruising with family or friends, long-distance water rides (cruising), paddle races (racing) and surfing. The Sroka team puts the best products on the market at your disposal and accompanies you with advice so that you can get maximum pleasure on the water with the right equipment and in complete safety. WHICH STAND UP PADDLE FOR THE BEGINNERS ? The SROKA team has thought of beginners. 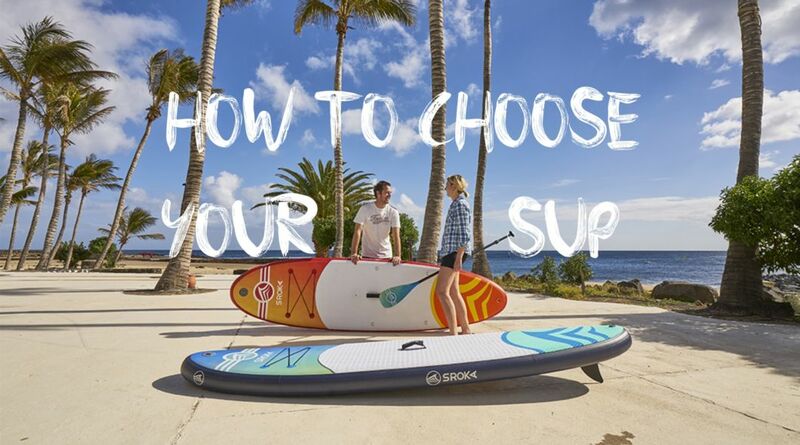 Indeed, we have developed a range that allows you to start the SUP safely and with the right equipment. 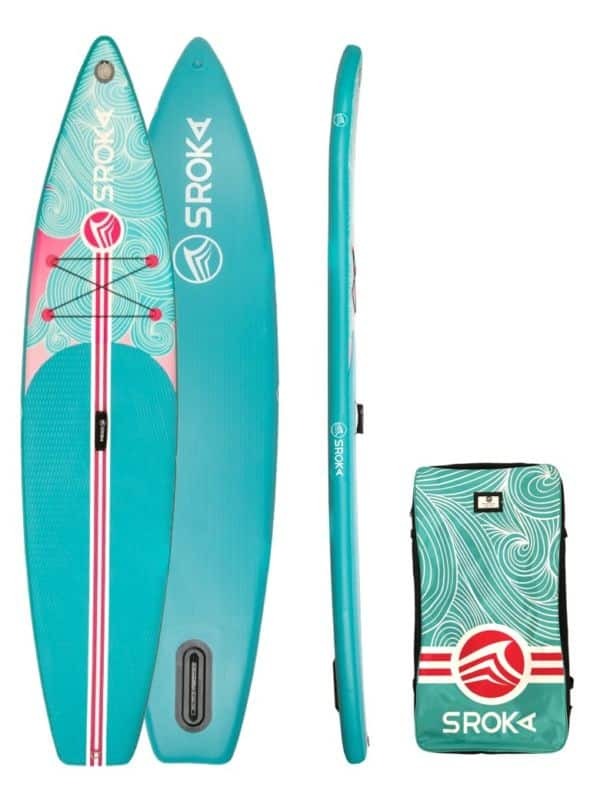 The Easy range from SROKA is perfect to start the SUP, whatever the practice. 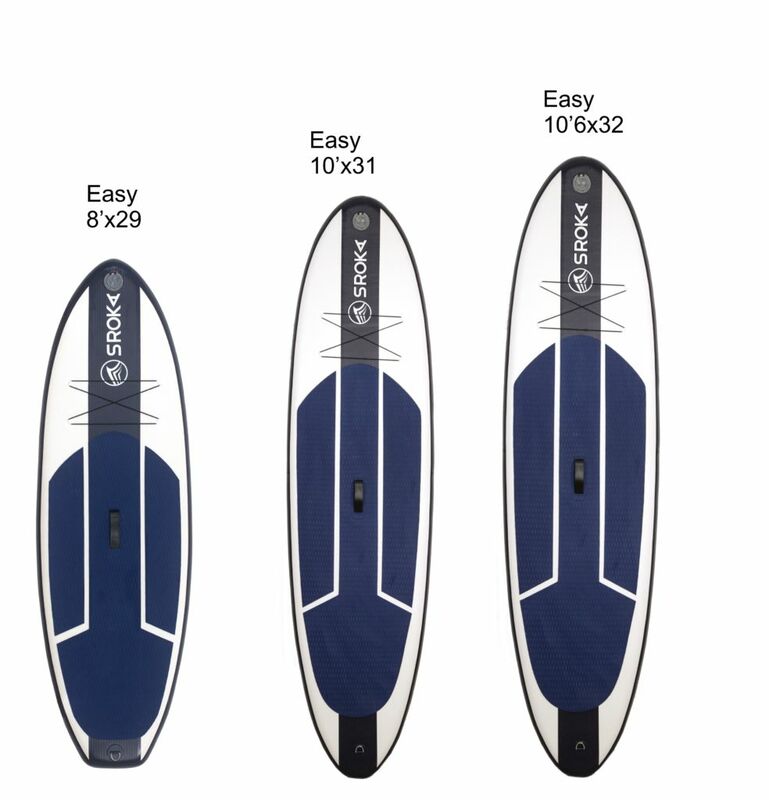 For a start in surfing, the Easy 8’x29″ inflatable stand up paddle is ideal to get started and experience the joys of the waves. Its round outline and small size make the board easy to handle. For cruising, the Easy pack in 10′ (-90 kg) and 10’6 (+ 90 kg) is perfectly adapted to beginners who want to discover sliding on the water. For long-distance rides, we have created the Easy 11’6×31 and Easy 12’6×32 inflatable stand up paddles. For all those who are looking for a pleasant glide with great stability, the 11’6 and 12’6 will meet their needs. Thanks to their sleek lines and a pointed nose, the Easy long-distance maintain a directional line while maintaining high stability. The size of the board must be chosen according to the rider’s size and type of practice. We will choose the all around range for beginners and a SUP 10′ for jigs under 90kg and a SUP 10’6 for jigs over 90kg. A beginner will tend to oversize his board to have the maximum stability thanks to a large board width. 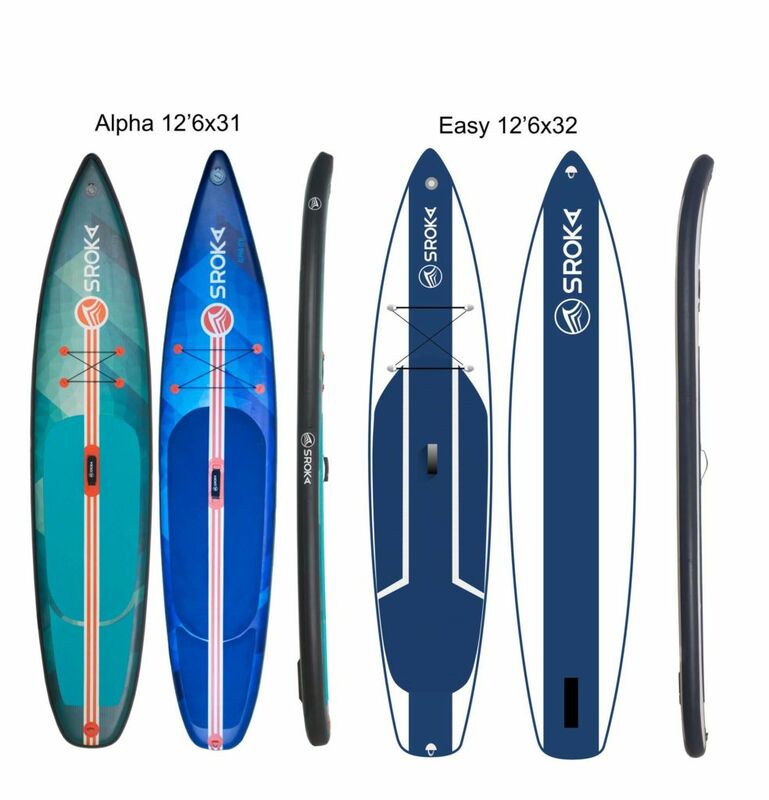 The advantage of a smaller board is to obtain more reactivity, especially during turns, but also better glide, as is the case with the Alpha 11×30 and 11×32. A all around stand up paddle is a versatile SUP, both for family rides, to admire the landscapes, to go on a picnic but also to take small waves at the edge (if the board is not too thick: between 10 and 12 cm). Note that more the wider is the SUP, more the stability will be present. The SUP stroll is the most accessible discipline of the stand up paddle. Cruising consists in sailing/sliding on a flat water, combining sliding and rowing. Cruising has the advantage of being accessible to everyone regardless of your desires and physical abilities. However, you must choose your board according to your level and the regularity of your rides. The All Around range will be suitable for beginners or riders who want to go to the water during the summer season, while the Alpha range will be more suitable for regular practitioners who want to achieve better performance. 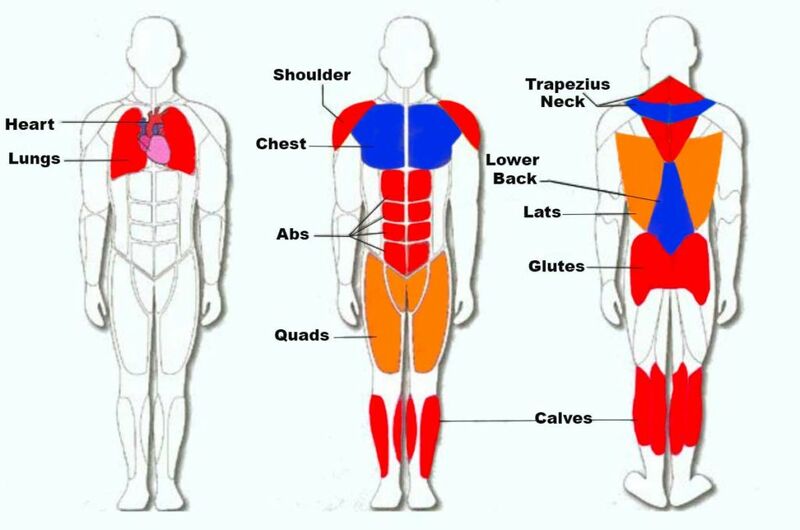 The practice of stand up paddle is interesting because it allows you to set the majority of your muscles in motion. It is a very complete sport in terms of physical motor skills. If you’re looking for a board for long rides, cardio work and performance, opt for the Alpha range that combines speed and stability. It is an excellent compromise for those who want a stable board with excellent glide. 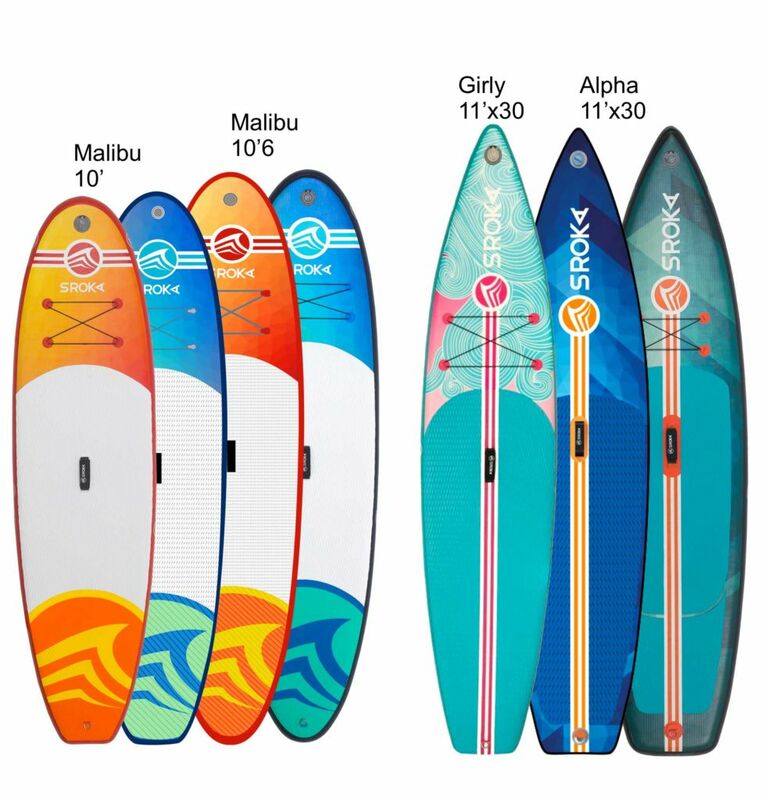 The Alpha 12’6×31 and Easy 12’6×32 are touring type boards that combine the stability of the Malibu 10’6 with the slide of the pointed nose board range. With the tail (back of the board) a little wider than the 12’6×28, these boards have a better stability. The racing practice is the most physical discipline in the SUP. It’s all about speed, endurance and technique. To practice the race in stand up paddle, the ideal boards have a thin and long outline with a pointed nose (nose of the board) to split the water and have a minimum of friction and therefore optimize the paddlers glide. The traditional Race is a discipline combining endurance, cardio and marine spirit. The principle of the race is to start from point A to point B (more or less short distance) and arrive in first position. The Beach race is a little bit different because the starting point is on the beach and it is followed by a race for the launch. Once the launch is completed, the paddlers must loop between two buoys and finish the course in first position. If you are looking for maximum slide and maximum performance, opt for the 12’6×28 alpha range. 12’6×28 are boards that are narrower, more cardio and race because their light weight and narrow width give you maximum speed and reduce drag. SUP surfing consists in taking waves using the paddle as a motor and support point. SUP boards are chosen according to the size of the paddler, to his/her level, and his/her surfing style (long curve or more aggressive curve) and the type of wave you are looking for. 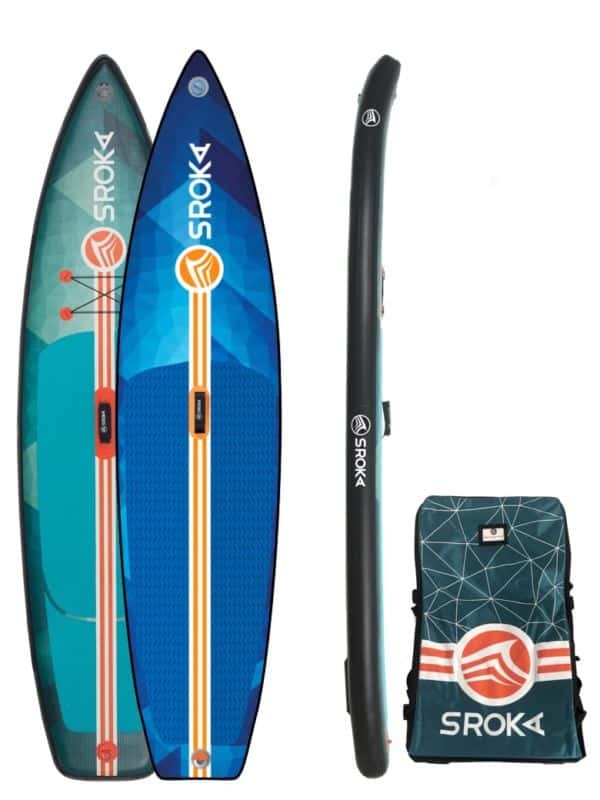 SROKA SUP surf are inflatable/deflatable, which is a considerable advantage for optimising space in your car or garage. 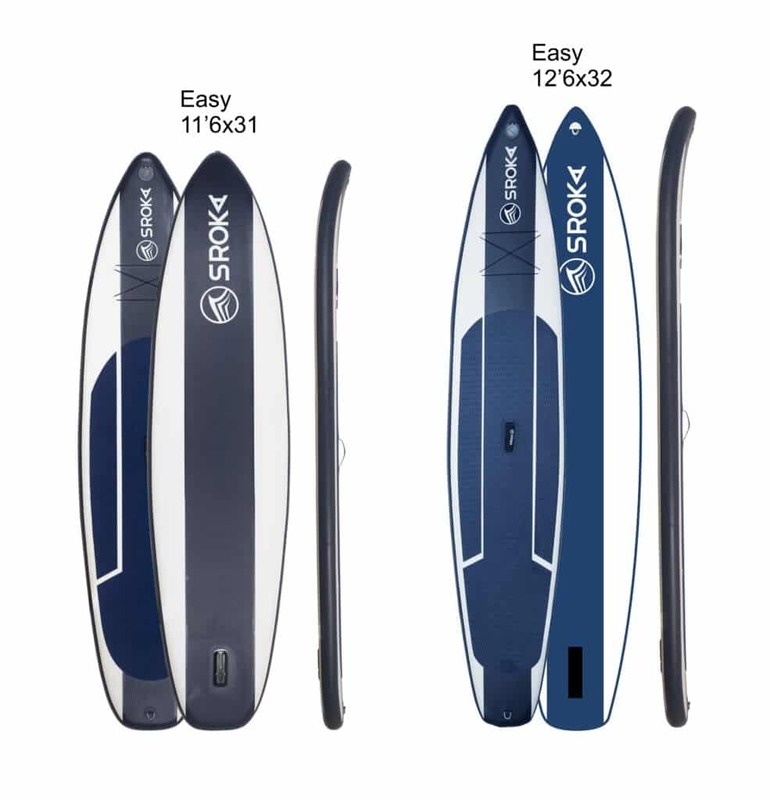 SROKA team created the best inflatable stand up paddles on the market to practice surf. 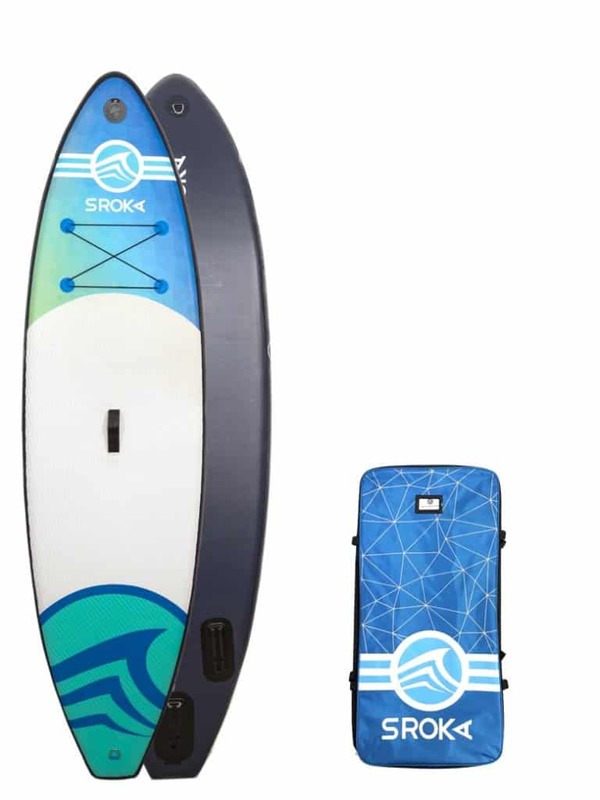 Indeed, the inflatable stand up paddle Waves 9.5 Fusion is an ideal Stand up paddle to discover the joys of surfing. It is a relatively short board with a round outline, which allows you to make curves easily on the waves. It is a board suitable for all levels and our teams have thought of the youngest or smallest sizes. The Easy 8′ inflatable paddle is designed for teenagers and small children who want to surf in Stand up paddle.